One afternoon, single mother Sara Weston says that she's going to the store—and never returns. In her absence, she leaves her teenage son alone with his damaged past and a legacy of secrets. Keith Weston nearly lost his life in an act of arson. He survived—but with devastating physical and emotional scars. Without his mother, he has no one to help him heal, no money, nothing to live for but the medications that numb his pain. Isolated and angry, his hatred has one tight focus: his half sister, Maggie Lockwood. Nineteen-year-old Maggie Lockwood spent a year in prison for the acts that led up to the fire. Now she's back home. But her release cannot free her from the burden of guilt she carries. She grew up with Keith Weston, played with him as a child…and recently learned they share the same father. Now the person Keith despises most is the closest thing he has to family—until Sara returns. If Sara returns…. I am in the process of cleaning out my bookshelves and reading all of the books which I have borrowed so that I can return them and begin building my own personal book collection again. This book was buried in a box that I had packed when I moved back in March. 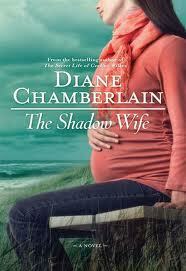 I realized that it was a sequel to Chamberlains book Before the Storm which I have read quite some time ago. I was worried that I would have some issues getting in to the book considering that it was a long time ago that I read the first one and that it would be a difficult read as a result. I was wrong. I was pulled back in to the story within a couple of pages and I remained glued until I finished it. I did this in one day and needless to say my housework suffered as a result. I can not go in to a lot of detail about this book as it would give too much information regarding what occurred in the first one for anyone who has not read it as it continues where the other one left off. It fills the reader in on what occurred in the first book from Sara's perspective which is not shared in the first book. Through this book, it wraps up the storyline and gives us a much needed full perspective on the tangled lives of the characters. It follows the same formula where it tells the story of the current day characters in the aftermath of the fire while also telling the story of what occurred in the past that has intertwined these characters. This I enjoyed as it seems to be the style of writing that I am most drawn to these days. This is how I fell in love with Chamberlains novels from back when I first discovered her when I read Breaking the Silence which to this day is still my favourite novel of hers. Highlights for me were any scenes involving Andy as I found them touching and comical seeing things from his perspective. I also enjoyed how Chamberlain portrayed Sara who could have been viewed in the first book as unlikeable due to the actions she took in her life choices. It humanised her and let the reader know that there are always two sides to a story and that until you know the full story, there is never a true villain or person to blame. Although I believe that I have not read all of Chamberlains works at this time, I have now read all of the ones that have been circulating around my family. I will now have to research which ones we do not collectively own to continue my quest to read all of her works. It is not a love Joelle D'Angelo would ever have chosen. But it is one she can't deny. Joelle D'Angelo's best friend, Mara, is left with brain damage after she suffers an aneurysm during the delivery of her son. Alone and grieving, Joelle turns to the only other person who understands her pain: Mara's husband, Liam. And what starts out as comfort between friends gradually becomes something more. Something undeniable. Now all Joelle needs is a miracle. Torn by guilt and the impossibility of her feelings for Liam, Joelle seeks help from someone she's not even sure she believes in--a healer named Carlynn Kling Shire. Joelle sets out to find Carlynn, knowing that Mara needs something conventional medicine can't supply. And hoping that if Mara is well, Joelle's feelings for Liam will end. 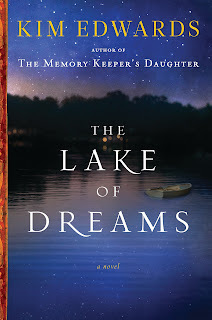 Her search leads her to a mansion in Monterey, California, and into the life of a woman shrouded in mystery. And as Joelle is guided down an unfamiliar path by a woman who is clearly keeping her own secrets, she discovers that some love is doomed, while some love can survive anything. I finished this book last night. 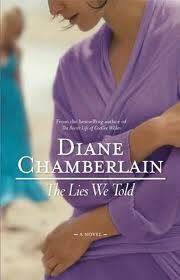 I can truly say that there is not a Diane Chamberlain book that I do not enjoy. This was one of her older books that was originally published under another title "Cypress Point". I can tell a difference in the style of writing between this book and some of her more recent novels. This is not here nor there as both styles are entertaining, just different. I liked how this told the story of current day Joelle as well as the story of Carlynn's childhood with her twin sister. The main theme of this book was about healing and it was not without some twists and turns. I have to admit that I had figured out the big twist however I am not sure if it is because it was predictable or if it is do to my uncanny ability to predict outcomes no matter how twisted it may be. Ask my husband who I creep out regularly when I predict the most ludicrous things on television that turn out to be accurate. I recommend this book and I wish I only had the time currently to bring true justice to this review. Forced to accept Maya is gone, Rebecca and Adam turn to one another—first for comfort, then in passion—unaware that, miles from civilization, Maya is injured and trapped with strangers she's not certain she can trust. Away from the sister who has always been there to save her, now Maya must find the courage to save herself—unaware that the life she knew has changed forever. I really enjoyed this read. It did not take me long to get through it once I started it. This will not be a long or thorough review as I am currently backlogged with books that I have currently read. In true Diane Chamberlain style, this book captured me and I was unable to put it down with the need to know what would happen next. It is a story of love, loss, strength and courage. Although ideally it did not end according to my preference, I understand why it ended the way it did. This book had me captivated from the beginning. It flowed easily and kept me coming back for more. I have been very interested in historical fiction lately specifically books relating to the war so the decision to pick this book up was an easy one. 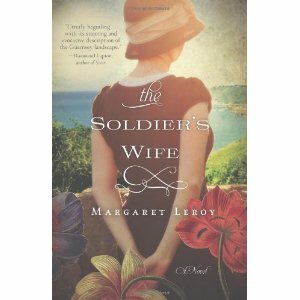 What I liked about The Soldier's Wife is that the story was told from an angle that was different then most I have read. The German soldiers take over the island of Guernsey and although Vivienne can still live in her own home with her two daughters and mother-in-law she as well as the rest of the island are forced to live by strict rules and regulations. Vivienne's own husband is away fighting in the war and she is taking care of the family on her own. To add to her stress, German soldiers take over the house next door. Then she has to deal with the moral dilemma of having feelings for another man who also happens to be a German soldier. The book takes you on an emotional roller coaster as Vivienne tries to cope with the changes in her life, her secret love affair and the things that she witnesses happening at the hands of the German Soldiers. I do not want to say much more for fear of giving too much away. If you are looking for an easy read with a good story then I highly recommend picking this book up. This review again comes with an apology as I read this book about a month and a half ago and have gone on to complete three other books before commenting on it so it may not be fresh in my head anymore. I found this an easy read from the beginning. A story of wartime hardships and a story of forbidden love. Kristine described most of it above so I will focus on what the book made me think while reading it. The main plot of the novel was that the heroine was dealing with falling for a soldier that was part of the enemy and occupying her island. Although I went along for the ride and enjoyed how it played out, I couldn't help but think how would I react in that situation. Perhaps I may just be standing on my moral high horse however I do not think that could allow someone in my life that had taken so much from my country and its people. Even though every person is individual, and may have redeeming qualities, the whole foundation on which they entered in to my life could not be forgotten. Yes there could be gratitude for a kind deed or gesture however for that to develop in to a genuine love seems impossible to me. Perhaps I am too bull headed or stubborn. Perhaps that is why I enjoyed the book. Although I could not put myself in Vivienne's shoes, I could still feel her struggle with her emotions. 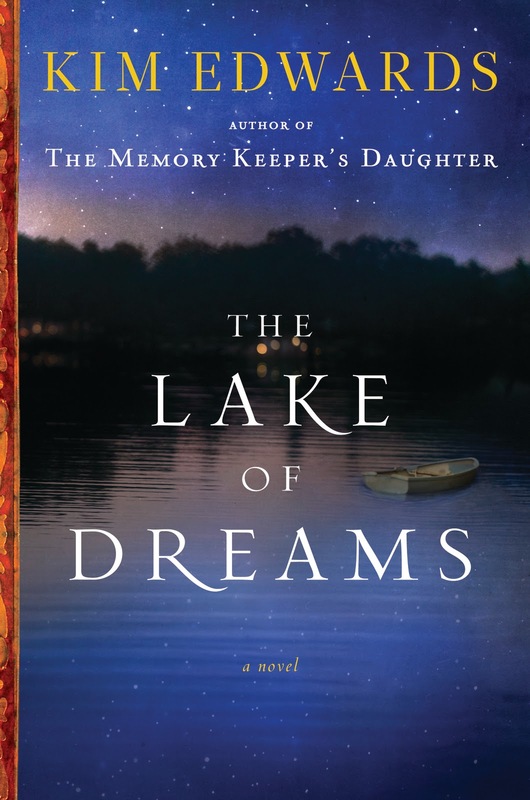 With revelations that prove as captivating as the deceptions at the heart of her bestselling phenomenon The Memory Keeper's Daughter, Kim Edwards now gives us the story of a woman's homecoming, a family secret, and the old house that holds the key to the true legacy of a family. I picked this book up at Chapter's last summer because of the author and also for the fact that it was a "Heather's Pick". Heather's Picks are books that the store guarantees you will like or you get your money back. Let me just say that it is the first time I debated taking a book back. I was extremely disappointed in this book. I found Lucy, the main character, to be selfish, immature, whiny and overall not very likable. Her character lacked any kind of depth and I lost interest in her very quickly. I thought that the book would redeem itself once Lucy started digging into the past and that story started to unfold. At first I was very hopeful as it did keep me reading but then the story of the past turned out to be as anti-climatic as Lucy's story. On top of that, the entire love triangle turned out to be a total bore and I completely disagree with Lucy's choice in the end because the one she didn't choose was the only character that was remotely interesting.